Is Engine Oil Affected by a Rich Running Engine and will the Proper Oil Filter Help the Engine Life in this Situation? Engines need a precise mixture of air and fuel to run properly. The ideal ratio, referred to as the stoichiometric ratio, is 14.7 parts air to 1 part fuel. A mixture that has less than 14.7 parts air (for example, a ratio of 12:1) is said to be “rich”. A rich air/fuel ratio can affect many different parts of the engine, including the oil. • Lower oil viscosity: Fuel dilution lowers the engine oil’s viscosity. This reduces the oil’s ability to provide a protective barrier between internal engine components. Friction quickly begins to build between rotating parts, causing them to overheat and fail. • Fuel wash: The excess fuel can wash the cylinder walls, wiping away essential engine oil. This causes friction to built up between the pistons and cylinder walls, leading to damage. • Reduced effectiveness of oil additives: Detergents are added to engine oil to prevent sludge build up. 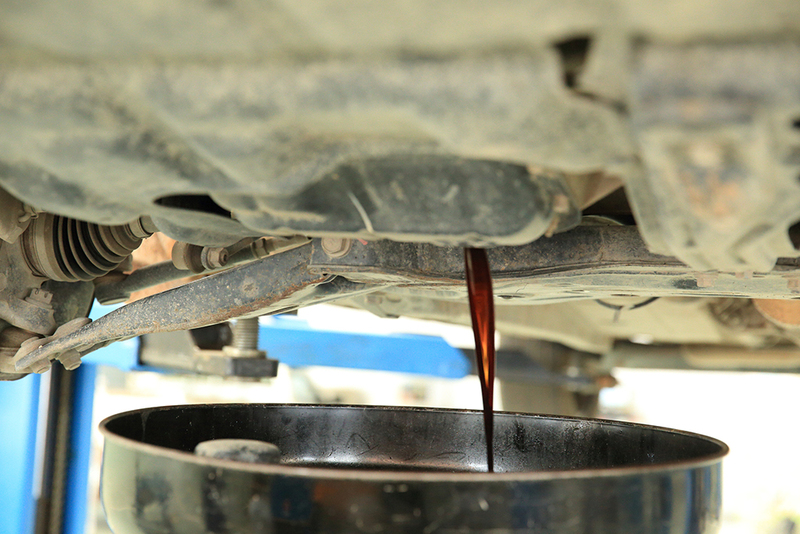 Fuel weakens these additives, leaving the engine vulnerable to sludge accumulation. • Increased oil consumption: Fuel-diluted oil has a very low viscosity. This allows it to slip past the piston rings, into the combustion chamber where it is burned. As a result, the engine consumes more oil. • Accelerated oxidation: Engine oil that is mixed with fuel oxidizes quickly and performs poorly. In each of these scenarios, the end result is extensive engine damage or complete engine failure. On late-model vehicles, the engine control module will usually try to compensate for the rich condition. It does this by reducing fuel injection. Any vehicle can suffer from fuel dilution, but modern, direct-injected engines are especially susceptible. This is because the fuel is sprayed directly into the combustion chamber instead of the intake manifold. As a result, the fuel easily washes past the pistons into the crankcase. Engines that see a lot of cold starts and/or a lot of short trips are also more prone to fuel dilution. Why? Because the engine runs richer when it’s first started. Fuel-diluted oil takes a toll on the entire lubrication system, including the oil filter. In some cases, the filter may help the situation for a while by trapping contaminants created by dilution. Changing the oil and filter regularly can help combat dilution, but it’s not a cure for the problem. A rich-running engine should be repaired to restore the proper stoichiometric ratio. A proper air/fuel ratio has other benefits as well, such as improved engine performance and increased fuel economy. Don’t live with a rich running engine; get it fixed right away before it’s too late.